This has been the first project developed by Davidsbuendler. It plays a major role in the pedagogical aims within the activities of this association, and it is also a clear example of the mentality of team work amongst artists which we want to inspire. Masterclasses with renowned soloists and / or internationally acclaimed pedagogues with an approximate monthly frequency which were fully funded by Davidsbuendler. The fixed members of this program were offered full scholarships to take part in each one of the masterclasses (receiving also free accommodation). All the other applicants who had taken part in the audition were offered specific scholarships for masterclasses which were specially compatible to their personal interests and needs. Also, for some specific events, an inscription process was created in order to give opportunities to other external students. 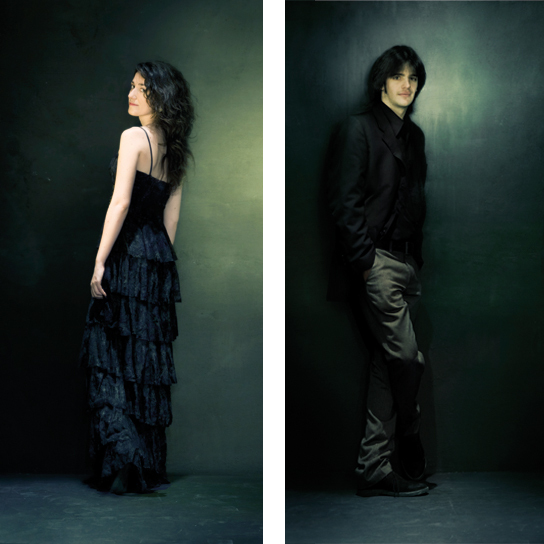 Creation of material for the professional promotion of the members of the program (recordings, professional photo shoots, etc.). The organisation of concerts or integration into existing concert series with the members of this program and other guest artists, thus providing professional training in a pedagogical way and a constant concert activity. 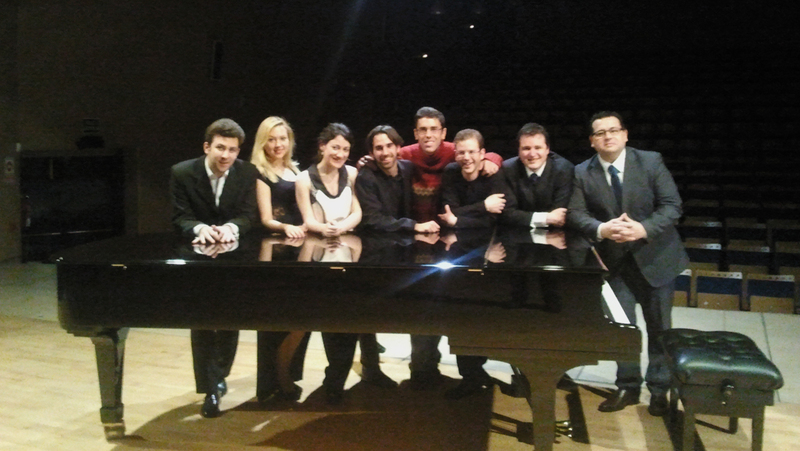 Néstor Bayona, Tommaso Cogato, Noelia Fernández Rodiles, Ricardo Forcinito, Carlos Goicoechea, Louiza Hamadi, Alberto Martín. Laura Ábalos, Laura Aguilar, Alberto Allegri Rodriguez, Alberto Barrio, Julio Caballero, Clara Casado, María Escudero, Javier Fernández Alameda, Candela Gaitán Salinas, Patricia García Gil, Raquel Garzás, Rafael Gómez, Guillem Gracia, Laura Granero, Deborah Henrikson Benichou, Ian Lleonart, Pilar Martín, Juan Martínez Espina, Milena Martínez, María Luisa Muñoz, Cristina Naranjo, Jorge Niño, Carmen Pérez Salmoral, Ana Belén Rasero Carrera, Aitor Sánchez Ruiz, Miguel Sánchez, Julián Sanz, Sergi Selles, Victoria Sit, Claudia Rueda Satorre, Joan Ramó Salamò, Jesús Sievers, Noëlle Gregoire Spierkel, Katharina Treutler, Trío Mozart (Noelia Rodiles, Elena Rey, María Victoria Pedrero). 17 | 1 Málaga: Interactive Museum of Music. 18 | 1 Málaga: “Gonzalo Martín Tenllado” Conservatory. 19 | 1 Benalmádena: Bil-Bil Castle. 20 | 1 Fuengirola: House of Culture. 15 | 2 Madrid: “Victoria de los Ángeles” Conservatory. 27 | 3 Paris: House of Mexico (1). 12 | 4 Paris: House of Mexico (2). 24 | 4 Málaga: Interactive Museum of Music. 25 | 4 Fuengirola: House of Culture. 26 | 4 Marbella: Amigos de la Música. 2 | 5 Mijas: St. Anthony’s College (school concert). 4 | 5 Málaga: Sala Cajamar (Fundación Málaga). 12 | 5 Palma de Mallorca: Caixa Forum (Artendins). 24 | 5 Paris: Danish Foundation. 15 | 6 Fuengirola: House of Culture. 17 | 6 Alhaurín de la Torre. 19 | 6 Málaga: Edificio Edipsa. 6 | 7 Mallorca: Sa nostra (1) (Artendins). 7 | 7 Mallorca: Sa nostra (2) (Artendins). 11 | 7 Ronda: Real Maestranza de Caballería. 12 | 7 Canyamel: Artendins Tower Festival. 18 | 7 Estepona: Plaza del Reloj. 22 | 11 Fuengirola: House of Culture (Néstor Bayona). 19 | 12 Madrid: Conde Duque (Noelia Fernández Rodiles). 12 | 2 Madrid: Conde Duque (Carlos Goicoechea). 26 | 2 Madrid: Conde Duque (Katharina Treutler). 12 | 3 Madrid: Conde Duque (Sanja Bizjak). 13 | 3 Seville: Sala Joaquín Turina de Cajasol (JJMM Sevilla). 22 | 3 Fuengirola: House of Culture (Ramón Grau). 9 | 4 Madrid: Conde Duque (Néstor Bayona). 10 | 4 Madrid: “Victoria de los Ángeles” Conservatory. 10 | 4 Seville: Sevilla JJMM Pavilion (Néstor Bayona). 11 | 4 Madrid: “Victoria de los Ángeles” Conservatory. 30 | 4 Seville: Sevilla JJMM Pavilion (Louiza Hamadi). 7 | 5 Madrid: Conde Duque (Louiza Hamadi). 9 | 5 Seville: Sevilla JJMM Pavilion (Noelia Rodiles y Elena Rey). 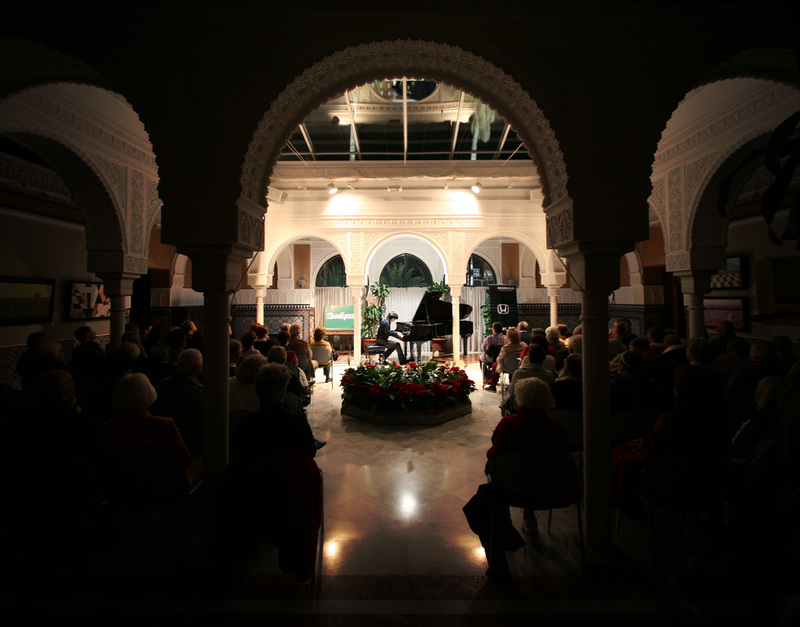 17 | 5 Fuengirola: House of Culture (Tommaso Cogato). 4 | 6 Madrid: Conde Duque (Tommaso Cogato). 22 | 8 Lucca: Concerti degli Angeli Custodi (Carlos Goicoechea). 24 | 8 Noli: Noli Music Festival (Carlos Goicoechea).